Managing a website or a blog is a dynamic experience. Even if you publish only once a week, there's quite a bit of work that goes into maintaining optimal website quality and performance. You’re going to be dealing with things like content production, audience management, security checks, and additional editorial tasks. However, a lot of the said tasks can, in fact, be automated thanks to the diverse structure of WordPress. The concept of automation becomes even more important if you manage a highly active WordPress site. For example, you wouldn’t want to manually inspect every single comment to check if it’s legitimate or not. This is where the idea of automation comes into play. WordPress offers the flexibility to create and produce software — plugins — to tackle tasks like comment verification. But, also, provides solutions for automating tasks like content production, content quality improvements, and even automated security audits. How about social media automation? All the time spent manually submitting your posts to social media channels could easily be spent elsewhere. So, in this post, we will highlight multiple solutions and plugins for automating important day-to-day WordPress tasks. Who knows, you might even come across something that you didn’t think could be automated before. What Type of WordPress Tasks You Can Automate? Before we get to the tools, let us examine first the different types of tasks that you’re able to automate. If you think about your essential content publishing workflow, you might come across tasks like grammar correction, image optimization, content scheduling, social media sharing, and many others. In the past, you might have looked at these tasks as a natural part of the content management process. While somewhat true, wouldn’t it be great if you could save time while achieving the same exact results? On an extensive content piece, managing external tasks can take up anywhere from 35% to 50% of your time. Now, imagine if you could spend that time elsewhere! Social Media — Instantly share your published content across all social media networks. Many plugins provide the means to add photos and hashtags, too. Dead Content — Create automated checks for broken links and images. Having ‘dead content’ on your site devalues your brand image. Backups — Never risk not having a fresh site backup. Things can always crash at the least expected times; stay prepared! Images — Photos can quickly ramp up the size of your pages. Save bandwidth for yourself and your readers through automated image optimization. Email Marketing — Add both in-line and dynamic email marketing forms to grow your email list. SEO — Search engine optimization doesn’t have to be hard. Use plugins to adapt your content to modern SEO requirements. Performance — Caching plugins, database cleaners, and similar tools help to automate your WordPress performance. Spam — Modern spammers are getting smarter by the minute. Stay ahead of the pack by using world-class spam prevention tools. We’ll touch base with each category, and mention reliable solutions to helping you automate the said tasks effortlessly. WordPress Update Automation: Yes or No? WordPress is based on 3 core aspects: WordPress itself, themes, and plugins. All three aspects are constantly evolving, and work together almost synchronically. If WordPress gets a major update (such as WordPress 5.0), then naturally the majority of your themes and plugins are also going to be updated. However, there are no guarantees as to whether an update is going to break your site or not. So, most WordPress bloggers don’t opt for automating new updates. Themes and plugins are prone to having new functions that might make your content inaccessible. A solution to this would be to use a plugin which let’s you manage your WordPress updates more effectively. Easy Updates Manager is a light yet powerful plugin that allows you to manage all kinds of update- both on your single site install, or in WordPress Multisite. Easy Updates Manager has some 200,000+ active users, easily positioning this plugin as the leader in WordPress update management. This plugin provides a seamless management dashboard for all things related to update management. You can deactivate all updates while selecting which plugins and themes to update automatically. Furthermore, Easy Updates Manager saves a log file which you can check to see the timeline of a specific update. Other features include email notifications, update delays, and backup management. Use this free update management plugin to configure a reliable updating structure. NextScripts is a sophisticated plugin for publishing new posts to a variety of social media networks. We’re choosing NextScripts because of its reputable history, and consistent updates. The plugin lets you automatically publish to sites like Facebook, Instagram, Twitter, and LinkedIn. However, the plugin has been made extremely successful due to its other capabilities. For example, new posts can also be shared on Medium, Flipboard, Tumblr, and even other WordPress blogs. As a result, your content can instantly be pushed across numerous high-profile platforms for maximum exposure. Imagine having to submit your content to all of the said sites manually — that’s an obscene amount of time required. This plugin will take a little bit of time adjustment, but the learning curve easily outweighs the amount of time you’re going to save in long-term. In the age of information, your content is going to age quickly. Even a month from publishing, new facts could be released that completely change the narrative. Likewise, resources that you use can become defunct, abandoned, or simply stop working altogether. Having working links and images is good for both your readers and search engines. But, can you picture yourself checking 100’s of posts for broken content, all by yourself? It’s unnecessary to do so because of plugins like WP Broken Link Status Checker. This robust plugin is going to scout your entire content library to identify broken links and images on the fly. You can set specific rules, like check for unique error codes on each link. And you can focus on specific domains, to check which posts are linking to a dead site. 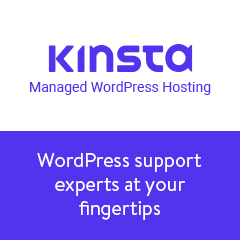 We can’t imagine operating a consistent WordPress blog without the help of this powerful plugin! There’s really no excuse for not having some form of backup management on your site. In other words, backups act as a contingency plan against unexpected data loss. The worst kind of mornings is those when you wake up to find out that either your site has been hacked, or your hosting server crashed beyond repair. Of course, the scenarios in which one can lose their website data are countless. UpdraftPlus is a WordPress-community favorite backup plugin, providing modern backup solutions for both physical and cloud data storage. The plugin is built to be robust, but also intuitive in terms of its day-to-day usage. UpdraftPlus acts as both a backup solution and also a restoration system. So, in the event your website unexpectedly breaks, you’re able to immediately restore the latest backup. With millions of active users, you can rest assured that UpdraftPlus is everything you need and much more. The major selling point is unquestionably the ability to store your backups in the cloud. Updraft works with services like Amazon S3, Dropbox, Google Cloud & Drive, as well as numerous FTP protocols. You can even send a backup file to your email for safe measure. Other notable backup plugins include VaultPess, and BlogVault. Depending on whether you use rich-media photos for your content, optimizing images is always a good choice. Optimized images are much smaller in their size, which leads to less bandwidth required to load a page. As a result, readers can enjoy faster loading times. Google is a well-known search engine for promoting site speed as a ranking rule. Nonetheless, manual image optimization is a tiresome task. Fortunately, images can be optimized automatically using a WordPress plugin. For this post, we’re going to highlight WP Smush. A highly successful software for on-demand image optimization. This plugin will happily go through your entire Media Library and optimize all images at once. As a result, you can catch up instantly and won’t have to do anything else other than clicking a button. As a side note, you might also want to get the SEO Image Optimizer plugin. This one automates the process of adding critical SEO meta-data to your images. Email marketing is an inseparable aspect of your digital success. Truly, in order to build a sense of community surrounding your brand — email is where it’s at. Emails give you a direct connection to your audience. You can send out news, updates, important announcements, but most importantly, special offers and product releases. While you’re going to find countless solutions to email marketing in WordPress, our choice is Email Subscribers & Newsletters. A neat little plugin that’s based entirely inside your WordPress dashboard. Most of all, this is a free plugin. The plugin performs tasks like email collection, automated updates, and scheduled newsletters. So, you never have to leave your WordPress dashboard. You can create an automated welcome email to new subscribers while existing subscribers can get notified of new content immediately. Furthermore, a double opt-in functionality ensures that each subscriber is genuine, and the actual owner of their given email address. Latest email marketing statistics show that more than 80% of small business owners rely on email marketing as their primary method for customer acquisition. The same report mentions that the average open-rate for ‘welcome emails’ is above 82%. Click here to read the report and learn why email marketing is so important for digital brand success. SEO techniques are always evolving and changing. As more research becomes available, marketing experts are able to deliver more sustainable methods for making your content SEO friendly. Google prides itself over its large index of SEO rules and regulations, which ensure that search content is always of utmost quality. For any new webmaster, the default Google Webmasters guide is an excellent place to start learning about search engine optimization. But, that’s only going to take you that far. WordPress is well-known for its diverse plugins and extensions which make content optimization a breeze. One such area is SEO, where plugins like Yoast SEO are helping millions of WordPress bloggers to optimize their content for SEO requirements on an automated basis. Yoast doesn’t just change your meta-data, it’s a dynamic plugin built to provide actionable insights for all new posts you create. Preview of Yoast SEO as it looks inside the WordPress publishing dashboard. Yoast SEO analyzes your content as you write, giving you a real-time analysis of whether your content is in pristine condition for modern SEO standards. Furthermore, you can add ‘focus keywords’ and Yoast will analyze the saturation of those keywords within a post. This way, you’re always kept up to date with how well your content is optimized for SEO needs. Additional settings include the management of site-wide titles, creating a sitemap, and the prevention of duplicate content through canonical-URLs. It takes a little bit of time to create a new WordPress site. After getting past the initial struggle of finding a theme and publishing your first post, you’re going to want to explore site optimization. A minimal WordPress site might get away without the need of external plugins, but it’s always best to learn about the ways that you can optimize your WordPress site for speed. In this post, we have already taken a look at plugins like WP Smush, which are great for optimizing images. Another category of performance-enhancing plugins is Cache. Caching helps to store a static HTML version of your posts that can be served to thousands of readers at once. Thus, reducing the requests that WordPress must make to the database. Our recommended caching plugin is W3 Total Cache; click here to read our guide. W3 eliminates the need to manually optimize certain content and is an excellent addition to plugins that automate your WordPress workflow. Another area you ought to keep an eye on is database optimization. In WordPress, the database is the central cortex from within which all your content is served. And surely enough, WordPress databases are known for becoming quite messy after some time. The mess is largely due to things like stored up post revisions, outdated plugin data, and general query leakages that happen throughout. Database optimization can be done manually with some knowledge of MySQL, but it’s not a sustainable method. Plugins like WP-Optimize give you complete freedom over database cleanups and other tasks. Use WP-Optimize a few times a month to keep your database tidy and at optimal performance ratings. Any website is susceptible to spam, spammers, and spam comments. It’s the Ying and Yang of the web. Fortunately, WordPress is capable of tackling even the most clever of spammer attacks. Thanks to plugins like Akismet Anti-Spam — WordPress bloggers can enjoy a spam-free environment. Getting rid of annoying spammers means that your readers can focus on having fruitful discussions. Akismet works for the comment section, but also for bloggers who run bbPress forum community on their site. Akismet is built to work together across all connected sites. As a result, whenever a specific IP / Email address becomes blacklisted, you can expect for that spammer to be blocked on your site, too. As a content producer, your focus should be solely on performing research and crafting great content. This post shows that WordPress maintenance need not be difficult or time-consuming. Even though we have shown some amazing ways in which WordPress tasks can be automated, you can always continue your search for additional tools and plugins to help you take the load off of performing actions manually. We would love to hear your feedback on how you handle WordPress automation. Share with us your favorite methods for saving time whilst producing top-tier content!